Geothermal Risk Mitigation Facility (GRMF) is providing $28 million in funding to seven geothermal projects in East Africa. Located in three different countries, these projects were selected from among the nine still in the running in the fifth round of the review of GRMF grant applications. The market for geothermal energy production is currently very dynamic in most countries of the Rift Valley in East Africa. 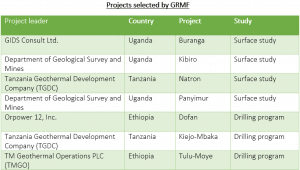 As a result, in the fifth round of the Geothermal Risk Mitigation Facility (GRMF) grant review, seven projects were finally selected by GRMF, the organisation responsible for promoting geothermal energy in East Africa. They are located in Uganda, Tanzania, and Ethiopia. The decision follows a call for expressions of interest issued on March 26, 2018. During the prequalification workshop, which took place on the 4th of June 2018, nine projects were still in the running. Finally, seven of them will receive funding, for a total of $28 million. The money will be used to conduct surface studies and drilling programs. Among the projects selected by the GRMF, several have made considerable progress in the field. One example is the Buranga geothermal project in Uganda. The first drilling has already taken place and is being carried out by Gids Consult. The Kenyan company holds a licence to operate in the area. It plans to build a 100 MW geothermal power plant on the site. The cost of the project is estimated at $42 million. The other project, which has undergone concrete development, is in Ethiopia. 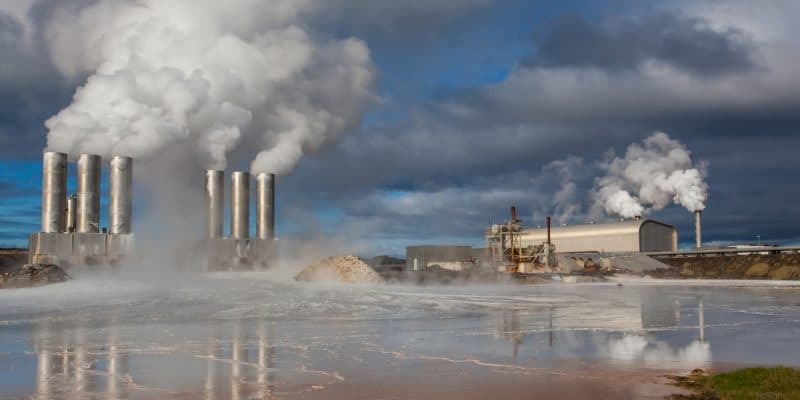 Located in Tulu Moye in the south of the country, it is led by TM Geothermal Operations Private Limited Company (TMGO), a company specialising in the development of geothermal energy in Ethiopia. It contracted the field work to Delphos International, an American company based in Washington, DC. In September 2018, the United States Trade and Development Agency (USTDA) provided a $1.1 million loan for the feasibility study for the first phase of the project. However, all the work will require a total investment of $2 billion, for a total production of 520 MW. The Ethiopian government would like the project to be carried out in 50 MW phases. The first phase of the project is expected to be delivered by 2021. More to come then….